There are three oatmeal recipes here. One is for normal rolled oats and you can make it very thick if you like it that way. The second is a very buttery and creamy one made with sprouted oats. 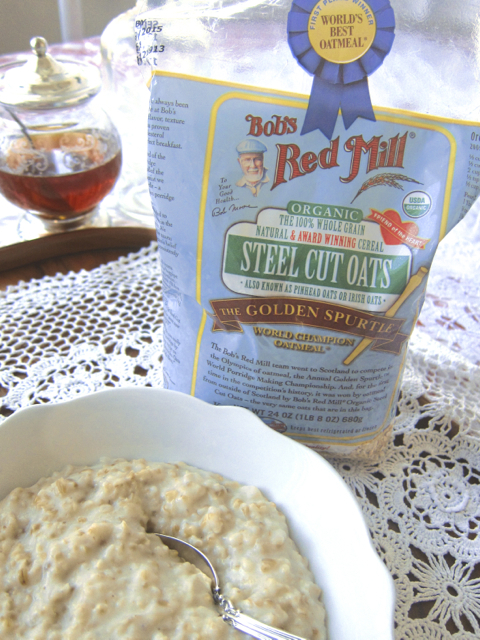 The third is Cook’s gourmet recipe for “Perfect Oatmeal” using the “World’s Best Oatmeal” steel cut oats. They are all delicious oatmeals and I think what really makes them the best is your preference. The Creamy Sprouted Oatmeal With Butter recipe is our family favorite at the moment. The salted butter in it smells amazing and tastes divine. 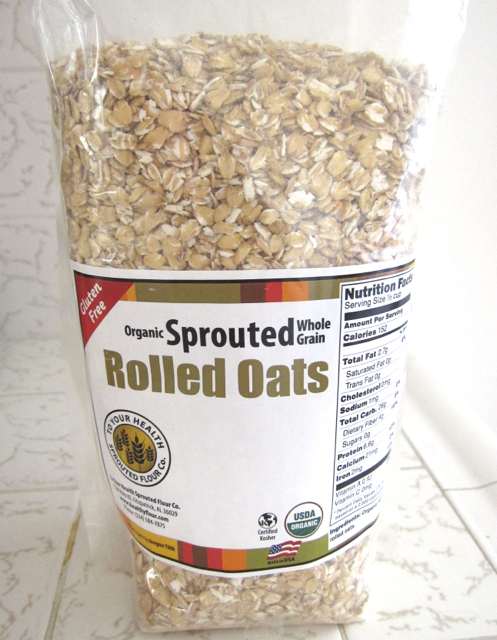 You can find the more nutritious sprouted oats at Whole Foods. I can remember as a child my grandpa make hot cereal using three different boxes. One of them was Wheatena. Then my grandma would set about a half a dozen or so raisins in the middle of my oatmeal and they would soften and plump up from the heat. They say variety is the spice of life plus it adds more nutrients to your diet. So mix it up by throwing in some buckwheat groats sometimes. 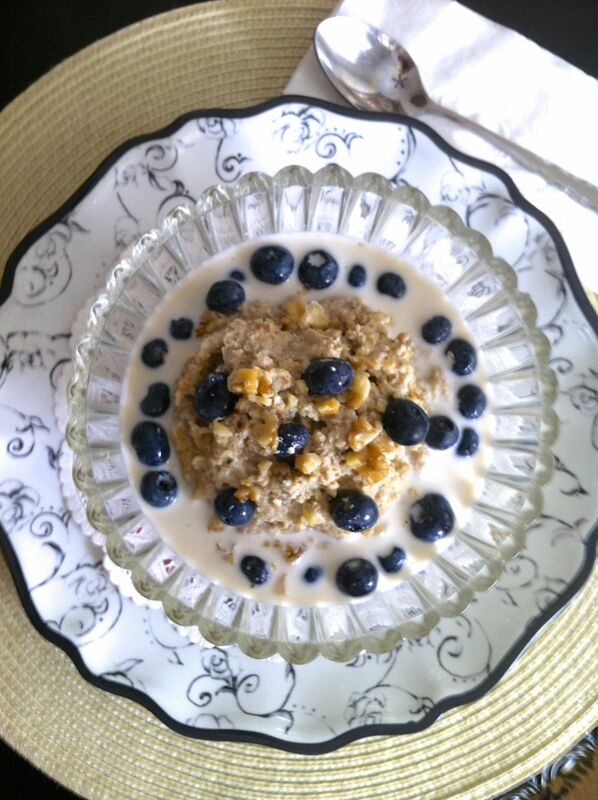 Try fresh blueberries (a good antioxidant food) and chopped walnuts. When blueberries aren’t available, you may like applesauce with a sprinkling of cinnamon (a good anti-inflammatory food) during cooking. Coconut sugar melts on oatmeal just like brown sugar and takes even better. *Variety is the spice of life and adds more nutrients to your diet. So mix it up sometimes. 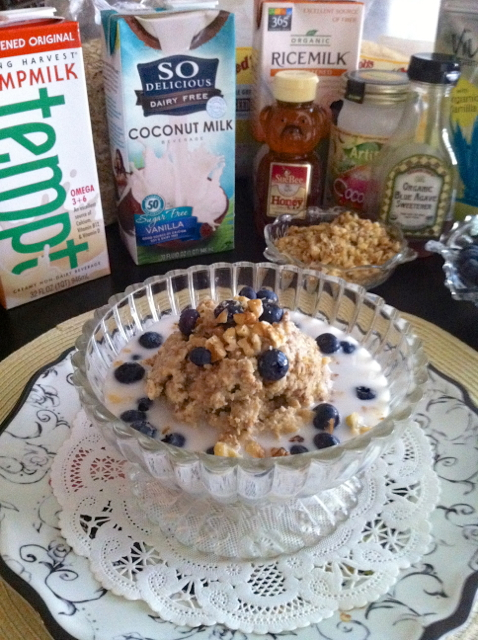 I serve it with Trader Joe’s unsweetened, organic rice drink, blueberries (a good antioxidant food) and chopped walnuts. When blueberries aren’t available, try applesauce and stir in a sprinkling of cinnamon (a good anti-inflammatory food) during cooking. 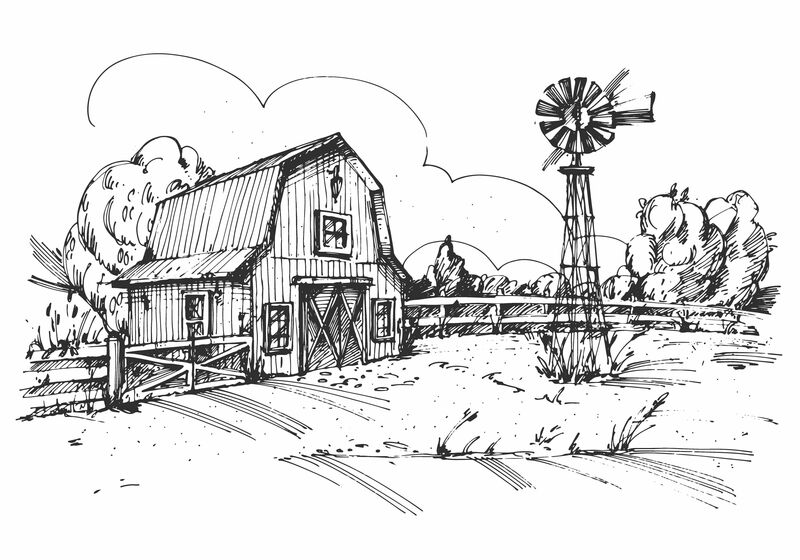 I can remember as a child my grandpa make hot cereal using three different boxes. One of them was Wheatena. Then my grandma would set about a half a dozen or so raisins in the middle of my oatmeal and they would soften and plump up from the heat. Two tablespoons buckwheat cereal and 2 tablespoons Scottish oatmeal cooked in 1 cup of water, topped with organic raw honey and rice milk makes a yummy creamy oatmeal that’s good for your cardiovascular system. Coconut sugar melts on oatmeal just like brown sugar and takes even better. The instructions on the back of the package have you using 1 cup oats with 1/4 cup butter and 1 teaspoon of salt but this is too much. You only need 1 tablespoon of butter to get the divine taste. And only 1/2 teaspoon of salt. As Cook’s did their research they found out that the Irish and Scottish say that Americans make “a sloppy bowl of porridge.” So they set out to fix that with this gourmet version of porridge. It has a lovely nutty, buttery taste and is very creamy. Whether it’s the best, well that I think depends on the person I think and I’m guessing we all have our own thoughts on the subject. I have pasted below some trivia from Wikipedia on all the different types of porridge around the world and the ways people flavor it. Cook’s had a Honey Fig Topping with Vanilla and Cinnamon for this gourmet version of the dish. I also located their Banana-Rum Topping With Toasted Pecans and Cranberry-Orange Topping With Cider and Brown Sugar in the May/June issue. Bring water and milk to a simmer in a large saucepan over medium heat. Meanwhile, heat butter in a medium sized skillet over medium heat until just beginning to foam; add oats and toast, stirring constantly with a wooden spoon, until golden and fragrant with a butterscotch-like aroma 1 1/2 to 2 minutes (this took me about 4 minutes). Stir toasted oats into simmering liquid, reduce heat to medium low (still bubbling), simmering gently, until mixture thickens resembling gravy, about 20 minutes (this took longer for me). Add salt and stir lightly with a spoon handle. Continue simmering, stirring occasionally with wooden spoon handle, until oats absorb almost all the liquid and oatmeal is thick and creamy, with a pudding-like consistency, about 7 to 10 minutes. Off heat, let oatmeal stand uncovered 5 minutes (it will thicken more as it sits which I prefer, otherwise it gets too soupy when you add cream or milk to it). Place all ingredients in a small saucepan over medium-high heat; cook until liquid reduces to glaze, about 4 minutes. Heat butter and sugar in small skillet over medium-high heat until melted and bubbling, about 1 minute. Off heat, stir in rum; return skillet to heat and simmer mixture until reduced and syrupy, about 1 minute. Stir in banana, allspice, and pecans. Spoon over oatmeal immediately. Bring cranberries, cider and orange zest to simmer in a small saucepan over medium high heat. Simmer until cranberries are plump. Sprinkle oatmeal with brown sugar and a spoonful of the topping.